Founded in 1989, with a strong foothold in the automotive industry, Pure Motors continues to deliver superior automotive needs through dedication and expertise. The key to its success lies in its team of dedicated professionals who are well-equipped with sound knowledge and deep understanding of the industry. 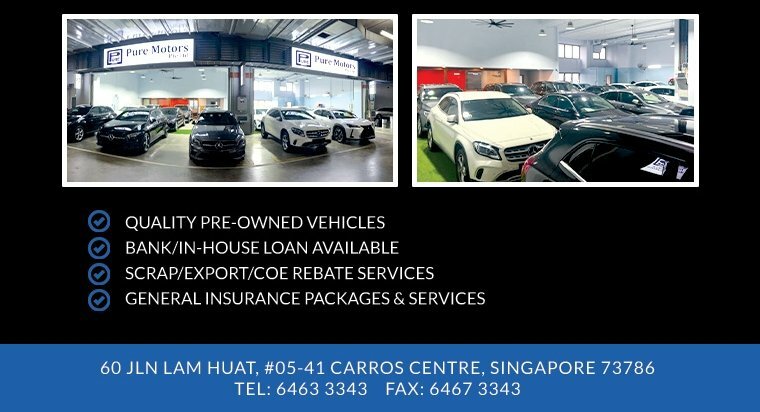 Pure Motors aims to not only provide an excellent level of sales and product information, but also after-sales service advice to ensure the best used car buying experience. By offering the best quality of cars that are cost-effective, equipped with its one stop services; facilitation of insurance and in-house loan services, Pure Motors is committed to providing you the best automotive solutions.